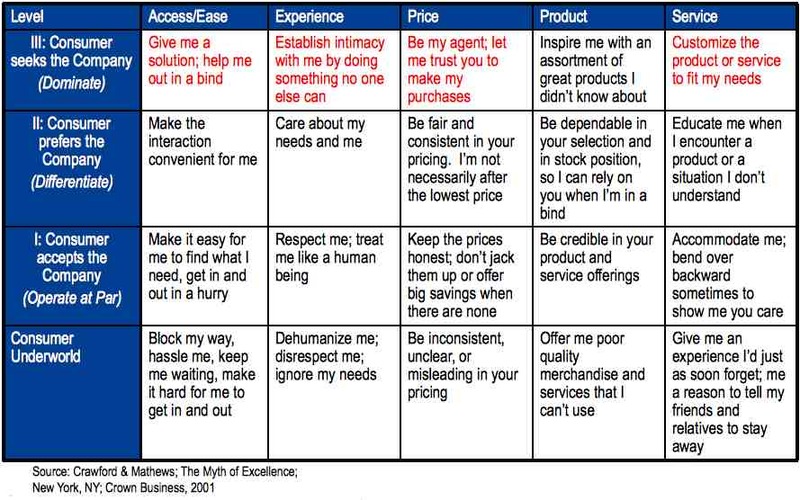 As can be seen in the table, the customer Experience at the Consumer Underworld level is dehumanize me, disrespect me, ignore my needs. In contrast, the Experience at Level III is establish intimacy with me by doing something no one else can. Quality of software and responsiveness by customer support are often a matter of furious exchanges between the customer and the software vendor. Escalations to the executive level in order to get better response on various software defects and deficits are quite common. On many occasions, an escalation becomes the battle of the spreadsheets. The customer steps into a meeting armed with a long spreadsheet of defects that have not been fixed in a timely manner. Typically, the customer also presents a long spreadsheet of unfulfilled requests for enhancements (RFE’s) that were promised, implied or expected. The vendor typically comes to such a meeting with as long spreadsheets demonstrating how responsive and diligent the service to the customer has been. Even with good intentions on both sides, such meetings are often loaded with defensive routines. Frequently they become adversarial. Some even conclude with a forceful customer statement such as “I want my money back”. Customer participates in the bi-weekly demo. 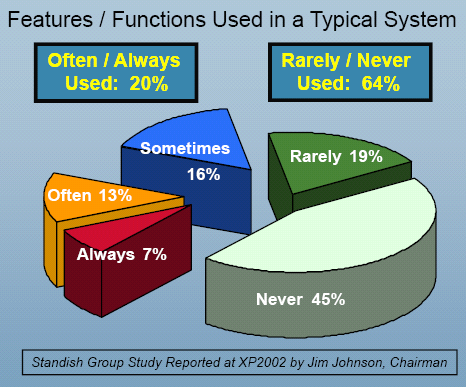 An indirect benefit that is likely to materialize is with respect to the Product attribute. An agile team that experiments on an on-going basis, using the bi-weekly demos as the “firewall” for containing unsuccessful experimentation, is likely to be quite innovative without accruing higher risk than acceptable. Hence, inspire me with an assortment of great products is an outcome that could be expected in the longer term. As pointed out in the recent Cutter Consortium essay, experienced Agile teams can cater to the needs of their top customers by providing Market-of-One. The very many advantages of so doing will be discussed in forthcoming posts.